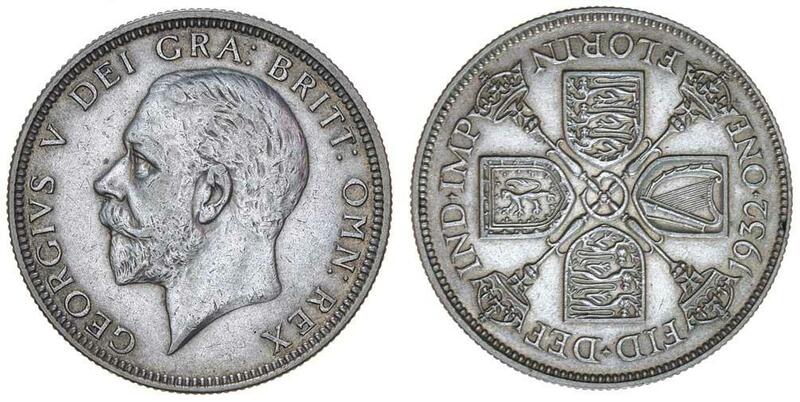 GEORGE V, fourth coinage, silver florin, 1932 (S.4038). 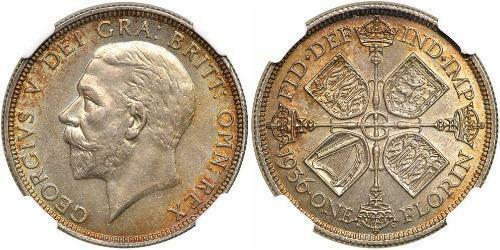 Deep toning, choice uncirculated and very rare in this condition. 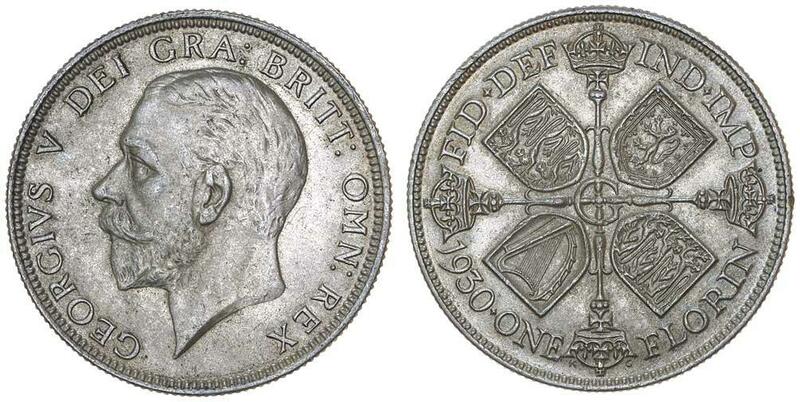 GEORGE V, fourth coinage, silver florin, 1930 (S.4038). 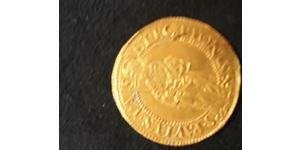 Toned uncirculated. GEORGE V, florin, 1932 (S.4038). Good very fine and rare. 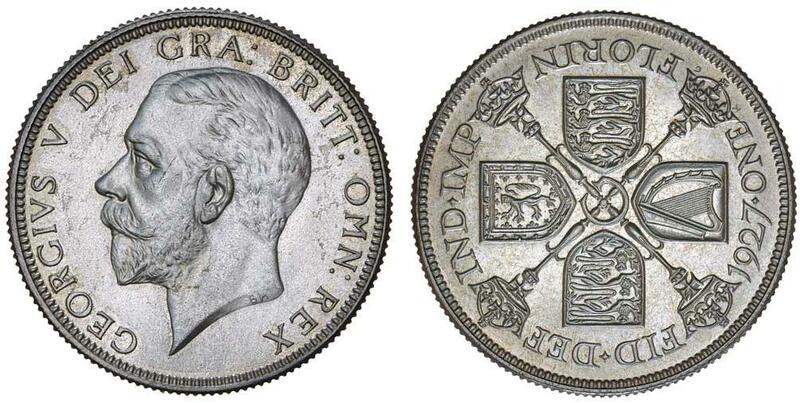 GEORGE V, proof florin, 1927 (S.4038). Nearly FDC/FDC. Великобритания 1 флорин (1933 г.) 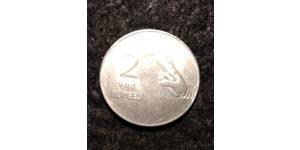 Серебро Георг V. 500-я проба, 11,3104 г, 28,3 мм.